Paul M. Freeman, a founding member of the firm, has been litigating extensively in state and federal courts, at both the trial and appellate level, for the past twenty-eight years. Paul has litigated cases in the areas of personal injury, medical malpractice, automobile accident litigation, commercial transactions, mortgage foreclosure, estate litigation and construction contract litigation. Paul is also actively involved in the areas of complex commercial and residential real estate, zoning and land use planning, construction and contract law, business succession planning and estate planning. Paul was named as one of Upstate New York’s ‘Super Lawyers’ by his peers in the legal profession. 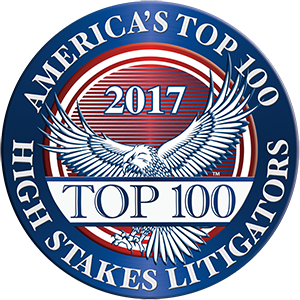 Paul was also recently chosen as a member of the Lawyers of Distinction, and selected to America’s Top 100 High Stakes Litigators in Upstate New York. In 2017, Paul was inducted as an honorary member of the Litigation Counsel of America, an accolade less than one-half of one percent of American lawyers enjoy. Paul routinely lectures at continuing legal education (CLE) seminars on issues involving litigation. • B.S., Economics and Public Policy - Cornell University (1985). • J.D. - Albany Law School of Union University (1988). • 1994 - Federal Second Circuit Court of Appeals.